Yeasts, tiny fungi-like organisms found on plant leaves, flowers and in soil and saltwater, assist in the decomposition and recycling of plants. Yeasts also play an important role in human culture and history – imagine a world devoid of beer, wine and bread. Commercially, yeasts produce alcoholic beverages by fermenting rice, wheat, barley, and corn, and in the baking industry they are used to help dough to rise. Brewer’s yeast – a rich source of protein, B vitamins, niacin, and folic acid – is often taken as a supplement. Although it’s easy to find enjoyment in a rich golden ale, a fine wine or a fresh loaf of bread, it’s difficult to appreciate these organisms when they are unleashed to run rampant in a human host. Candida albicans is a saprophyte, a common yeast-like fungus that survives by eating dead tissues. Normally this organism is present in the blood, gastrointestinal tract and vaginas of warm-blooded animals. Candida also lives in the folds, creases, and wrinkles of our skin. Normally candida is a harmless symbiont, living in the gastrointestinal tract, kept under control by the inhibitory actions of beneficial bacteria and a healthy immune system. Unfortunately, this internal ecology can easily be disrupted, leading to conditions that not only allow, but actually promote, the rapid growth of yeasts. These conditions can decrease the number of beneficial bacteria, lower immunity, and stimulate further yeast growth. As a result, the yeast cells quickly multiply out of control, especially in the colon. Hormonal Imbalances: Elevated tissue levels of steroid hormones from oral contraceptives, corticosteroid therapy, pregnancy, and chronic stress provide nourishment for hungry candida organisms. Steroids bind with candida, suppressing the immune response, thereby increasing colonization and promoting the spread of candida to cells which are penetrated in search of nutrients. Antibiotics: Many popular broad-spectrum antibiotics kill beneficial gut bacteria, inhibit immunity and intensify subsequent candida overgrowth. Antibiotics and hormones in the feed of farm animals may stimulate yeast overgrowth in people when they eat meat and dairy products (eggs). Diet: Refined foods provide sugar and simple carbohydrates that the yeast ferment for nourishment. The modern American diet is frequently low in biotin and other nutrients that inhibit the conversion of benign yeast to the invasive fungal form. Infections: Recurrent bacterial infections compounded by immune system dysfunction lead to systemic candidiasis. Environmental Toxins: Exposure to toxic agents in food, air and water may lower immunity, alter homeostasis and promote susceptibility to candidiasis. Physical Contact: Candida can also be spread by direct contact during sexual activity and through such medical procedures as emergency-room treatments, intravenous feedings, dialysis and surgery. In one recent study of surgery patients, 49% developed Polysystemic Candidiasis. Under the above conditions, Candida albicans cells undergo a profound metamorphosis, changing from a benign, round-like yeast form into an invasive filamentous fungal form. When this occurs, long, root-like filaments extend and penetrate cells lining the intestinal mucosa in their search of food. Once they have penetrated the protective barrier of the intestinal tract and invaded the circulatory system, yeasts release waste chemicals (toxins) and, in the process, allow undigested food proteins and other toxins to enter the body. These and other foreign substances assault the immune system, leading to tremendous allergic reactions, fatigue and other health problems. These conditions are generally referred to as candidiasis or Candida-Related Complex (CRC). The clinical picture for candidiasis may be different for every person. The symptoms may be similar to chronic Epstein-Barr virus syndrome, hypoglycemia, hypothyroidism, adrenal maladaptation (hyperadaptosis), fibromyalgia, and others. For example, intestinal candida symptoms may resemble Crohn’s disease. As a result, the problem may be misdiagnosed when other problems occur simultaneously. Some patients just feel lousy all over. Others have minor, annoying, periodic, and seemingly unrelated disturbances, or even severe mental or physical incapacitation. Often, physicians either believe the cause is another disease or they send the patient to a psychiatrist because they cannot determine a physical cause. Consequently, since the underlying cause is often not properly diagnosed, it cannot be treated properly. General problems of Candida Related Complex can include diarrhea, constipation, migraine headaches, menstrual cramps, depression, lethargy, and skin eruptions. Common localized problems are vaginal yeast infections, oral thrush, and diaper rash. Candida may also be responsible for the other localized disorders. In severe cases, candida-infected people can develop life-threatening blood poisoning and other systemic problems from candida toxins. Candida has been found to produce 79 distinct toxins. These toxins have been shown to cause massive congestion of the eyelid area, ears, and other parts of the body. These toxins may be responsible for many of the symptoms that Candida sufferers have. Candida may contribute to a leaky gut, an unfavourable increase in intestinal permeability. Undigested macromolecule food particles and toxins are allowed to pass directly into the body, creating a variety of problems like triggering an immune response sensitising the individual to normally harmless molecules. When this occurs some people become hypersensitive to environmental substances or develop multiple food allergies. These undigested particles may also pass through the blood/brain barrier where they can be mistaken for neurotransmitters, leading to mental symptoms that may create abnormal behavior. Candida albicans can synthesize acetaldehyde, a toxic metabolite that causes cross-linking, damages organs, and interferes with the synthesis of acetylcholine and other neurotransmitters. This disruption of the nervous system can cause mental disarrangement, abnormal behavior, and memory loss. Candida toxins can also alter the functioning of the central nervous system leading to distorted thinking, mood swings, depression, agitation, impaired intellectual functioning and emotional disturbances. It’s even possible for candida to produce symptoms of alcohol intoxication by fermenting simple sugars. Systemic candida is a great imitator. It can mimic many diseases such as cystitis, Crohn’s disease, gastritis, multiple sclerosis, endometriosis and various forms of mental illness. Candida may be part of the pathology in colitis, pancreatitis, hepatitis, cirrhosis, diabetes mellitus, malignancies, endocrinological pathologies, and autoimmune disorders. Yeast overgrowth can depress the immune system, leaving individuals more prone to recurrent bacterial and viral infections. Toxic Candida metabolites also lower T-cell counts, inhibit lymphocyte proliferation, reduce phagocytosis (an active immune function) and diminish cellular immunity. Candida has decreased suppressor T-cells by a factor of 15. This increases the risk of autoimmune disorders. In addition, candida is a potent allergen capable of causing complaints ranging from chronic urticaria (itching skin patches) to irritable colon and severe headaches. Many individuals can suffer from candidiasis and never know it. Candida may be the underlying cause of chronic illness, bringing about a wide variety of seemingly unrelated or intermittent symptoms and clinical disorders of varying magnitude that defy diagnosis. All of these responses make a positive diagnosis of candidiasis frequently difficult. However, recurrent and common symptoms of CRC (Candida Related Complex) do exist and fall into different categories. Having more than 60% of the Candida Causative Factors in Table I and 60% of the Candida Symptoms in Table II and having one or more the Yeast-Related Problems in Table III strongly indicate the likelihood of systemic candidiasis. This warrants using diagnostic laboratory tests. CECA (CandiSphere Enzyme Immuno Assay Test) diagnoses candida by detecting antibodies against cytoplasmic proteins of the invasive fungal yeasts. The test is claimed to be 95% sensitive and 92% specific for Candidiasis. Direct stool exams for chronic intestinal candidiasis. A gram stain for yeast along with direct microscopic examination is a very accurate diagnostic tool for Candida. This method avoids quantification inaccuracies that appear with cultures. Serum or urine Darabinitol levels. This is a Candida carbohydrate metabolite that is also a neurotoxin. You may have difficulty finding a lab that will do this. A candida culture may be considered if there is presence of oral thrush/white coating on the tongue. Excessive growth may be an indication, especially if it increases with your symptoms. Serum Candida antibody levels (IgG, IgM, and IgA). Will not be definitive since the body’s ability to defend against Candida is limited due to its position in the gastrointestinal tract. Positive or negative responses are difficult to interpret. Candida IgE may be helpful. However, a test of IgG blood antibodies to Candida albicans in conjunction with a direct yeast culture stool sample evaluation is recommended. Yeast-isolation blood test. May produce false-negative results when a candidiasis problem is present. Candida skin tests. Ineffective because Candida albicans is on everybody’s skin. 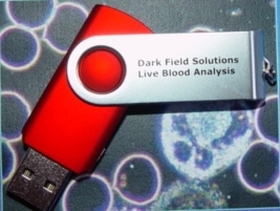 Live-blood cell tests with a darkfield microscope.